∫ A Polar Express celebration at the Paul Nigra Center, 2736 Route 30, from 10 a.m. to 1 p.m. Crafts, live entertainment, raffles inspired by the tale “The Polar Express.” A sensory santa will also be available from 10 a.m. to noon for those with special needs. Admission is $5 per person or an unwrapped toy to benefit Toys for Tots. Children 1 year of age and younger will be free. ∫ Joyous Sounds of the Season: Church of the Holy Spirit, 149 S. Main St., Gloversville, 3 p.m. Free will donations and items for Mother Teresa’s closet. Performing: Olivia Esposito, Sue Shrader, Don Ambrosino, Paul Whitney, Jessica and Sam Zimmerman. ∫ Master Storyteller the Rev. Dr. Tim Coombs presents Charles Dickens “A Christmas Carol” from memory: The Mayfield Central Presbyterian Church, 22 N. Main St., Mayfield, 7 p.m. $5 admission fee. ∫ No Limit — pre-parade party: Mayfield Grill, 8 School St., Mayfield, 3 p.m. No cover. 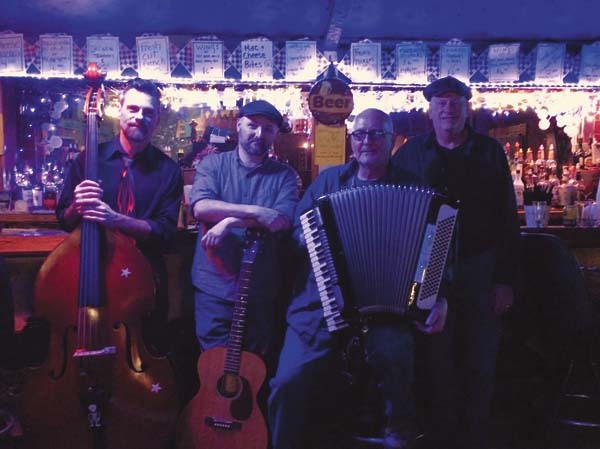 ∫ An Adirondack Christmas: The Revival, 1441 Route 30, Wells, 3 p.m. By donation. Refreshments. ∫ Free beginner lessons and dancing: Sharp Shooters Billiards and Sports Pub, 35 E. Main St., Amsterdam, 6:30 to 7:30 p.m. New lessons and open dancing 7:30 to 10 p.m. $5 for those who stay or come in after 7:30 p.m. Sue Kaupelis, instructor. ∫ Warren Greene — a digital slideshow presentation of native species of the Adirondacks: Gloversville Public Library in the Carnegie Library, 58 E. Fulton St., Gloversville, 6 p.m.
∫ Vinny Michaels: Lakeside Tavern and Marina, 306 Woods Hollow Road, Gloversville, 6 p.m. No cover. ∫ Mittler and Hansen — D’Raeled: Sam’s Seafood and Steakhouse, 281 N. Comrie Ave., Johnstown, 7 p.m. No cover. ∫ DJ Craig Moore — Moore 2 Music: Snowed Inn Bar, 375 Midline Road, Amsterdam, 8 p.m.
∫ Vinny Michaels: Sport Island Pub, 108 Riverside Blvd., Northville, 8 p.m. No cover. ∫ The Rock Junkies — classic rock: Aaron’s Irish Pub, 231 N. Main St., Gloversville, 9 p.m.
∫ Fas4ward: O’Connor’s Pub, 1 N. Perry St., Johnstown, 10 p.m.
∫ Gloversville Middle School Drama Club presents “Legally Blonde Jr.”: Gloversville Middle School in the auditorium, Gloversville, 7 p.m. $5 general admission. ∫ Gloversville Middle School Drama Club presents “Legally Blonde Jr.”: Gloversville Middle School in the auditorium, Gloversville, 2 p.m. $5 general admissions. Study concerns town of Johnstown fire depts.